Patented Flow Shut-Off/Range and Flow Adjustment-Allows individual head to be turned off during installation and adjustment OR allows simple range and flow adjustment without changing nozzle. Revolutionary Patented Easy Arc Set - Simplified arc set allows for wet or dry adjustment in seconds. 5" Riser-Perfect for taller grass. ¾" Female Threaded NPT Inlet-Replaces all standard rotors. 2N1 Adjustable or Continuous Rotation-Provides a full range of adjustment from 40 degrees to a continuous, non-reversing circle. 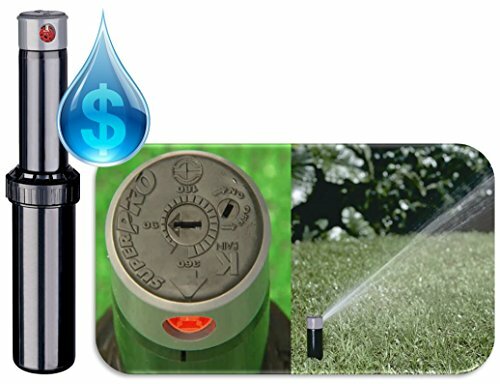 Patented Arc Set Degree Markings-Clearly indicates the current watering pattern and simplifies arc set adjustment. Arc Memory Clutch-Prevents internal gear damage and returns rotor to its prior setting automatically if nozzle turret is forced past its stop. Time proven Patented Reversing Mechanism-Assures continuous reverse and return..over a 20 year history. Ratcheting Riser-Allows for easy adjustment of your left starting position with a simple turn of the riser. Rubber Cover-Seals out dirt and increases product durability. Wide Selection of Nozzles- Including standard and low angle, provides flexibility in system design. Optional Check Valve - Prevents low head drainage. 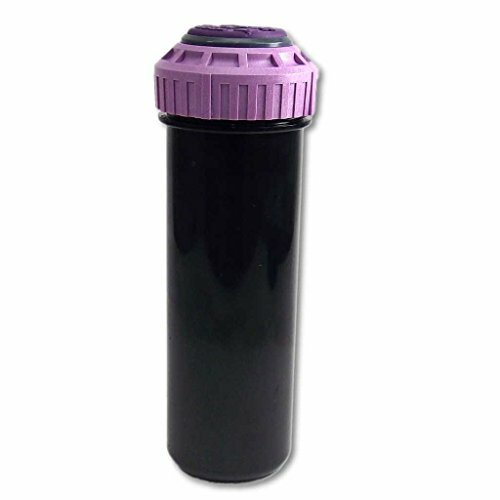 This purple top Krain Superpro has a pruple top that is required by law for all sprinklers using reclaimed water Perfect for septic tanks The SUPERPRO® Rotor, with its patented flow shut-off, allows for easy range and flow adjustment and renders installations easier and drier. With a simple adjustment, you can shut off water flow at the head OR easily modify both flow and distance proportionally without changing nozzles. SUPERPRO® has a patented Arc Memory Clutch that returns the rotor to its pre-set position. Designed for medium to large landscape areas, the adjustable arc and full-circle gear driven rotor comes standard with 13 numerically coded, interchangeable nozzles (8 Standard Nozzles, 4 Low Angle Nozzles and 1 Pre-Installed 2.5 Nozzle). The SUPERPRO® is packed with features that ensure reliability, saving the installer time, money and needless frustration.